Pay less upfront with a Zero Deposit Guarantee! 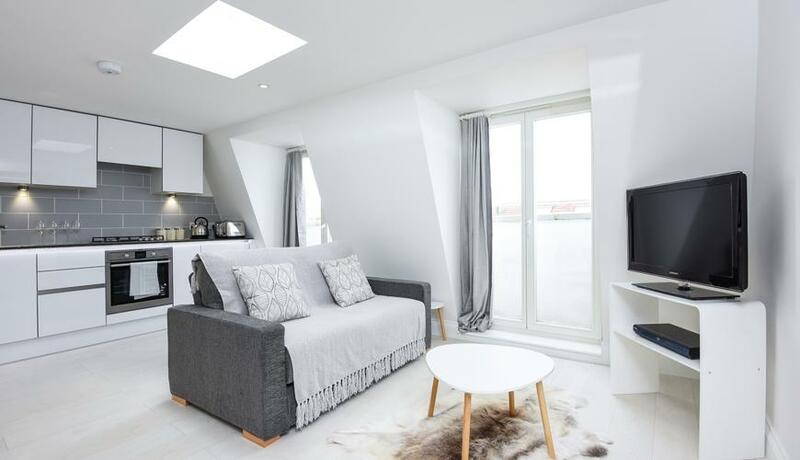 A stunning and newly-refurbished, one-bedroom flat with a communal roof terrace, located within easy reach of Clapham Junction station and the green open spaces of Battersea Park. Set on the second floor of a redeveloped conversion amongst the popular bars and restaurants of Battersea Park Road, this superb one-bedroom flat is incredibly modern throughout and comprises a chic reception with a fully-integrated, open-plan kitchen, double bedroom and a contemporary bathroom. The property additionally benefits from access to a south-facing roof terrace, perfect for entertaining.